Trailing Flowers was released on the 1 ½ and 2 ½ Round Casserole (474, 475). 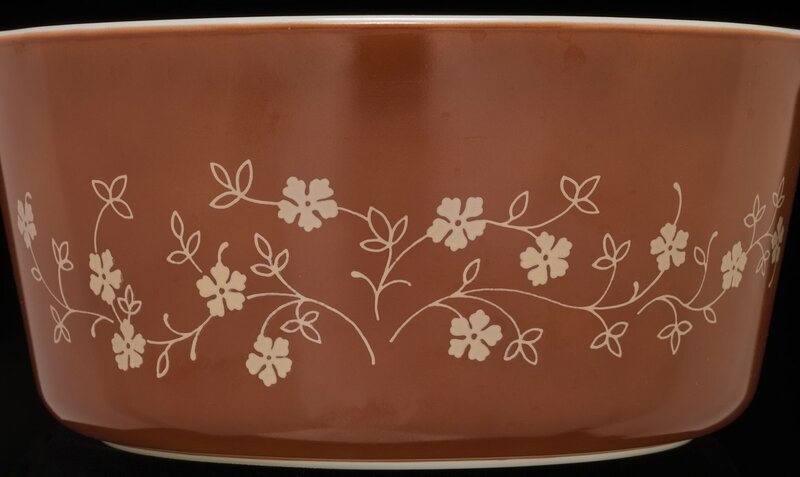 The 474 casserole was red with a pattern of cream flowers and vines. The 475 casserole was beige with the same pattern in red. Both casseroles came with a quilted snap-on cozy, meant to make carrying a hot dish easier.